There is archaeological evidence that there was human activity around the hot springs on which the City of Bath is built at least 8,000 years B.C; but probably the place was too mysterious, with steam emerging from a hot, lushly vegetated swampy area for any settlement to take place here. According to legend, Prince Bladud, who had contracted leprosy, was cured after bathing in the hot muddy waters. 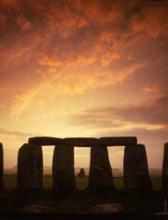 In gratitude, Bladud founded the City of Bath around the springs in 863BC. As documented by Geoffrey of Monmouth in his 12th century ‘History of the Kings of Briton’, Bladud proceeded to become the 9th King of the Britons and supposed father of King Lear. In AD 43 the Romans started the development of ‘Aquae Sulis’ as a sanctuary of rest and relaxation, not a garrison town like most Roman settlements – despite Tacitus in A.D 80 describing the taking of the waters as ‘one of the those luxuries that stimulate to vice.’ In AD 70, the Romans built a reservoir around the hot springs, and then a sophisticated series of baths and a temple dedicated to the goddess Sulis Minerva. A temple to Aesculopius, discovered near the Cross Bath provides a clue to there being a Roman bath on this site dedicated to healing, not just to relaxation. 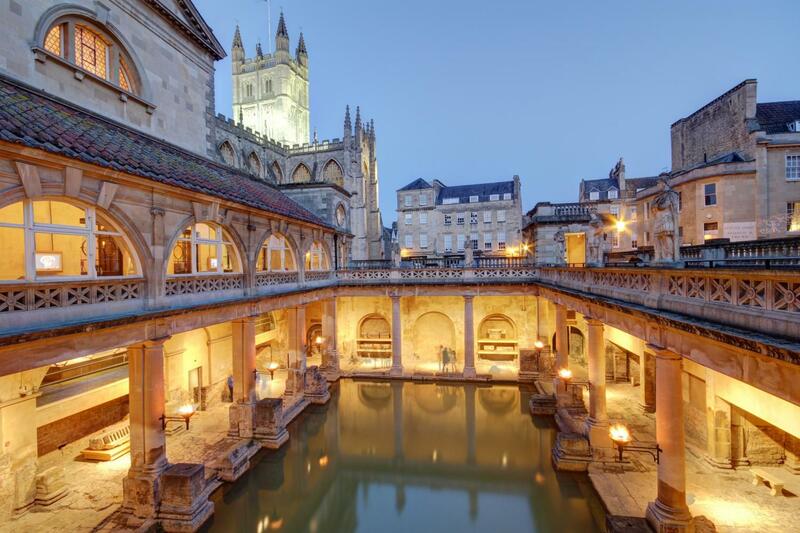 As a religious shrine and bathing complex, Aquae Sulis attracted visitors from across Britain and Europe, foreshadowing Bath’s status as a premier tourism destination. The Romans also used the Cross and Hetling springs. After the withdrawal of Roman ‘protection’ in 410, Aquae Sulis fell into decline, although the use of the baths continued. In 675 the name Hat Bathu first appears. The Cross Bath may possibly be named thus because the body of St Aldhelm rested there on its journey from Doulting to Malmesbury in 709. An 8th century poem in the ‘Exeter Book’ describes how “a stream gushed forth in rippling floods of hot water. The wall enfolded within its bright bosom the whole place which contained the hot flood of the baths.” It also describes how the roofless ruins of the Roman town remained standing around the bath, dramatic and mysterious. Alsi’s Bath, later the Hot Bath, was probably named after St Aelfsige, who was perhaps responsible for building a Saxon bath to replace the Roman one there. The founding of St John’s Hospice by Bishop Reginald in 1174 confirms the extensive use of the waters and accommodation was provided for visitors to the Cross Bath.The three baths attracted visitors from considerable distances, especially from the 16th century (note the publication in 1562 of the first medical treatise by William Turner on the use of the waters). A religious exile during Queen Mary’s reign, he had travelled in Italy and Germany and observed many spas in operation. He suggested the need for substantial improvements, to the drainage system as well as the behaviour of the visitors, and many were carried out over the next few years: a new drainage system, segregated bathing (this did not last! ), and a separate Lepers’ Bath (near the Hot Bath – before this, people with skin complaints had used the Cross Bath). However, there were still complaints about the absence of covering over the baths and the lack of changing rooms. Despite this, Bath was now starting to attract visitors from mainland Europe. (In the early 17th century, spas also developed at Tunbridge Wells, Epsom and Harrogate.) Many doctors set up house in the ‘Bimbery’ area (the area between Beau St, Bath St, Hot Bath St and Bilbury Lane), often providing lodging rooms for visiting patients. From 1609, Bellott’s Hospital provided accommodation to enable poor visitors to obtain water treatments. Royal visits in 1574, 1613, 1615, 1634 and 1663 increased the fame and attraction of Bath. In June 1688, James II’s wife, Mary of Modena, gave birth to the ‘Old Pretender’ nine months after bathing in the Cross Bath (which thus played a major role in provoking the Revolution of 1688). In 1688, 1692, 1702 and 1703 Princess/Queen Anne visited Bath to take the waters and the frequency of her visits led to even greater aristocratic patronage. These visits set in motion a period of development in which Bath became ‘the premier resort of frivolity and fashion’, and led to the great rebuilding of the city to produce the 18th century layout and architecture of today’s UNESCO World Heritage Site. The publication in 1707 of Dr William Oliver’s ‘Practical Dissertation on Bath Water’, with its emphasis on drinking as well as the more inconvenient bathing and a long list of diseases suitable for cure by these methods, helped to increase the attraction of Bath. The Cross Bath was the most fashionable bath, as it was the most private. Musicians accompanied the bathers and chocolate was drunk by bathers relaxing around the elaborate Melfort Cross, erected in 1688 to celebrate the birth of James II’s son. In 1788, new Private Baths (now demolished) were built between the King’s Bath and Stall Street. In the 1790s, the Great Pump Room was built to replace the now inadequate 1706 Room. While excavating the foundations for this, many of the first finds relating to the Roman Temple were made. Also at this time the Museum of Antiquities was created (now next to the entrance to Thermae), decorated in the niches outside with statues of Kings Edgar and Coel. In the 1870 and 80s the King’s Bath was excavated by Major Charles Davis, while during the 1900s, Bath spa water was bottled and sold as Sulis Water, promising relief from rheumatism, gout, lumbago, sciatica and neuritis. After the First World War, thousands of wounded soldiers were rehabilitated in spa towns such as Bath. The public swimming pool at Beau Street was constructed in 1923 and the Cross Bath declined in status to become the ‘Tuppenny Hot’. In 1948, following the establishment of the National Health Service, the health authorities of Bath made arrangements to provide water-cure treatments on prescription but the Hot Bath finally closed in 1976 when the Royal Mineral Water Hospital ceased to use the facility, having built a new pool in the hospital. For the previous twenty years the NHS had lost interest in hydrotherapy using natural mineral waters, believing that tap water was equally efficacious. The Tepid Bath, and the Beau Street Swimming Bath, which replaced it in 1926 survived only until 1978 when the new public swimming baths opened in North Parade. The Council, as owner, was reluctant to invest in both facilities and the NHS as user had little further interest in the old baths. The death in October 1978 of a young girl from a rare strain of meningitis possibly contracted from the natural bacteria in the earth’s strata through which the spa water passed, after she had swum in the water in a gala with the Bath Dolphins, was a further contributor to the lack of interest in investment. Bath was the third from last of the 8 great hydropathic centres in England to close; the last, Buxton, closed in 2000. However, the Roman Baths and Pump Room were soon to become one of the UK’s leading tourist attractions and this helped to establish a demand for the reopening of the spa facilities. The restoration of Bath’s Spa, Thermae Bath Spa, is finally complete – the latest chapter in a story which goes back at least 2,000 years. The perfect way to unwind after a day’s sightseeing, shopping or attending a conference or meeting in one of Bath’s historic venues, hotels, or even in Thermae itself, Thermae Bath Spa will use the natural hot, mineral rich waters for which Bath is rightly famous worldwide. Bathing in those thermal waters will offer both residents and visitors a genuinely unique experience in the UK and Bath will once more be a Spa, not only in name but also in reality.